When you return to your tent after a day outdoors and dusk is drawing in, is there anything more magical than the glow of a campfire to see you through the evening? The moment the heap of wood in front of you crackles and creaks into life, the best part of any camping holiday can begin. Before long, you’re wrapped in a blanket watching sparks and glowing ash float languidly up into the starry sky above, as your cheeks glow with the heat of the blaze. Luxury bell tent glamping on the North Norfolk Coast within the grounds of a 17th-century manor house. 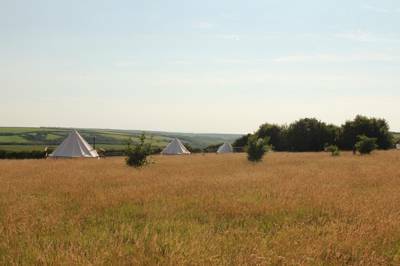 Beautiful tipis and tent pitches, masses of space, a fishing and swimming lake; all within striking distance of some of the north Cornish coast’s best beaches. 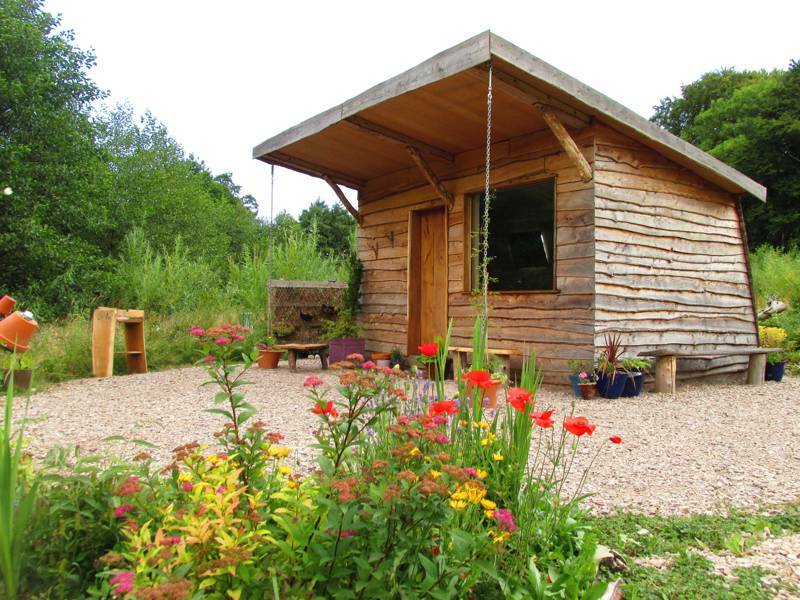 Eco-friendly glamping in the long grasses of North Devon with a permaculture garden, beekeeping and other sustainable projects at every turn – plus wetsuits and surfboards for the beach! An on-the-border break near Wales' Brecon Beacons and England's Hay-on-Wye, with a mixture of camping and glamping on offer. Camping as it should be in the heart of the South Downs. 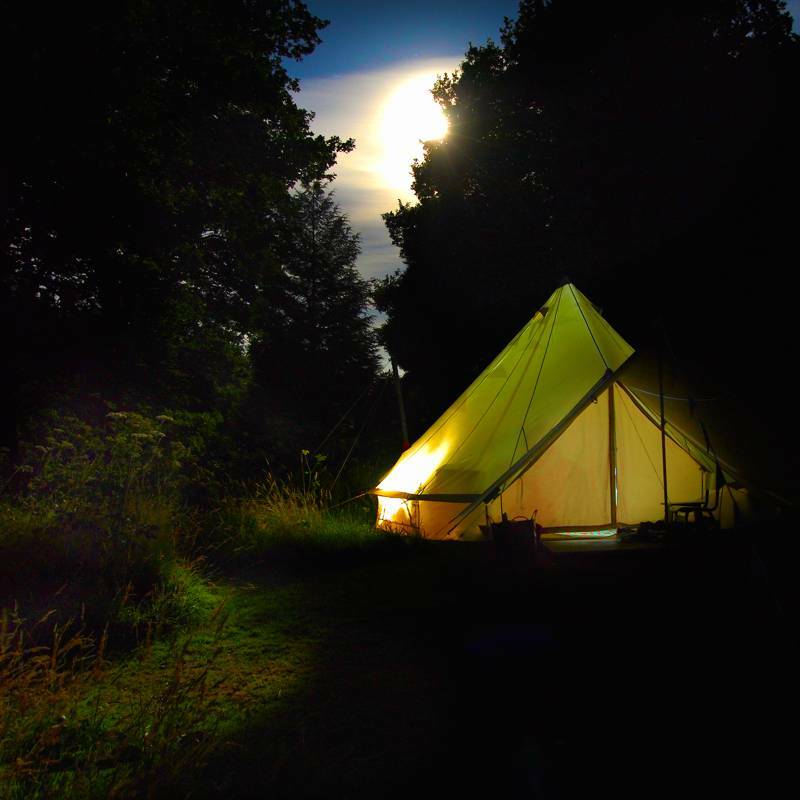 A 28 day August pop-up, offering traditional Hampshire camping on a New Forest Pony farm. A family-friendly Lake District campsite, nestled between the quiet shores of Bassenthwaite Lake and the beautiful Cumbrian fells. 1950’s Americana tucked away in the wilds of South Norfolk. 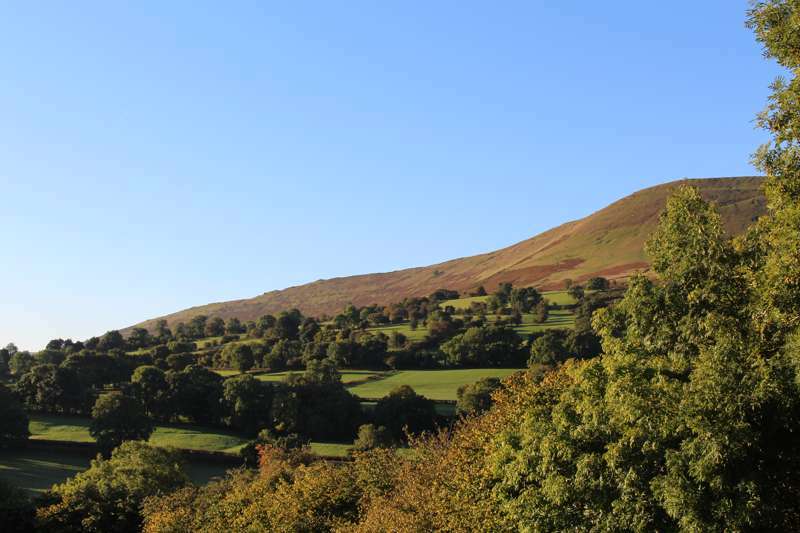 Adults-only, dog-friendly camping and glamping on the Powys and Shropshire borders. 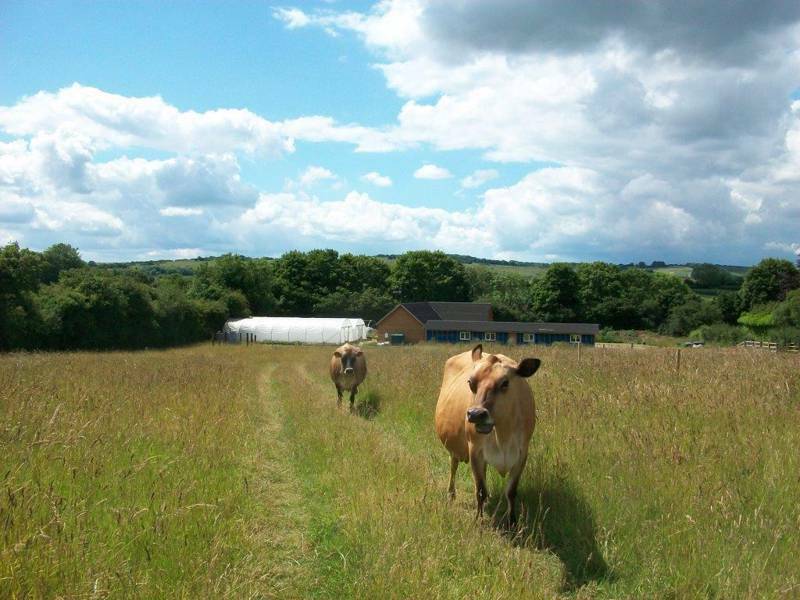 Back-to-basics, natural camping with campfires encouraged and easy walks to the local attractions in Frome. Secluded, private glamping in a wooded dell with sun splintering the trees each morning and campfires glowing by night. 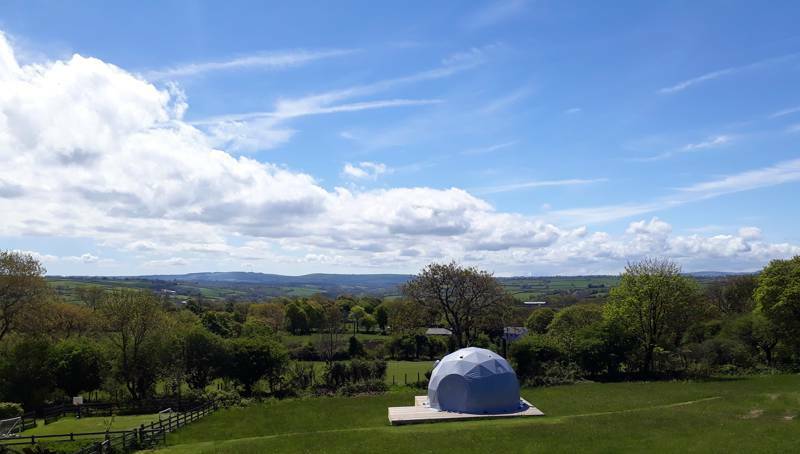 A peaceful, small scale glamping site in West Lancashire with woods, meadows and endless space to explore. Wild flowers, wild woodland and ample wildlife-friendly facilities in this 10-acre tract of off grid camping space. 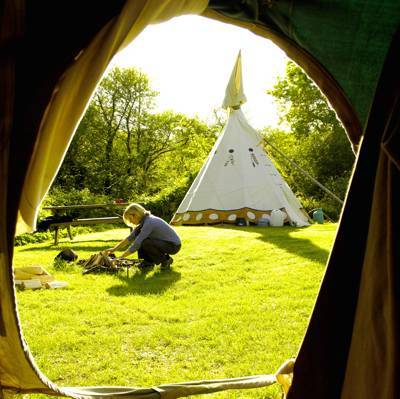 Traditional tent camping the kids will love on a working Wiltshire farm. 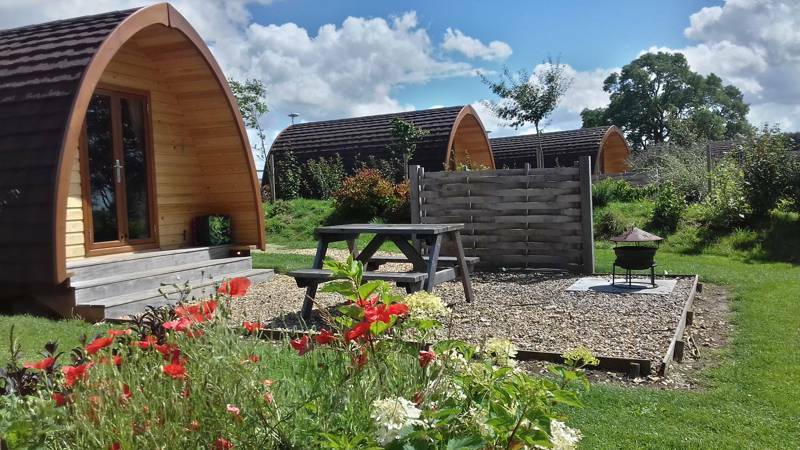 Head here for an authentic glamping getaway in the heart of the Staffordshire countryside. If you haven't realised already, we love campfires. And, hey, who doesn't? Nowadays, more and more campsites are ensuring they offer campfires as part of their package, with campfire pits for hire, logs for sale and a spare box of matches for all those camping novices that rock up at a campsite only to discover that they left all the important things at home! Campsites that allow campfires are now a staple in our guidebooks and on our website. To help you get the most out of your holiday, we've brought all of the campsites with campfires together into one handy collection. So browse our compilation of campsites now, book a pitch, pack those matches and hit the road. Who knows what adventure awaits? In a world of health and safety, campfires are a nice reminder that getting outdoors, getting dirty and cooking over flames is still just as much fun – and just as important to our health – as it ever was. 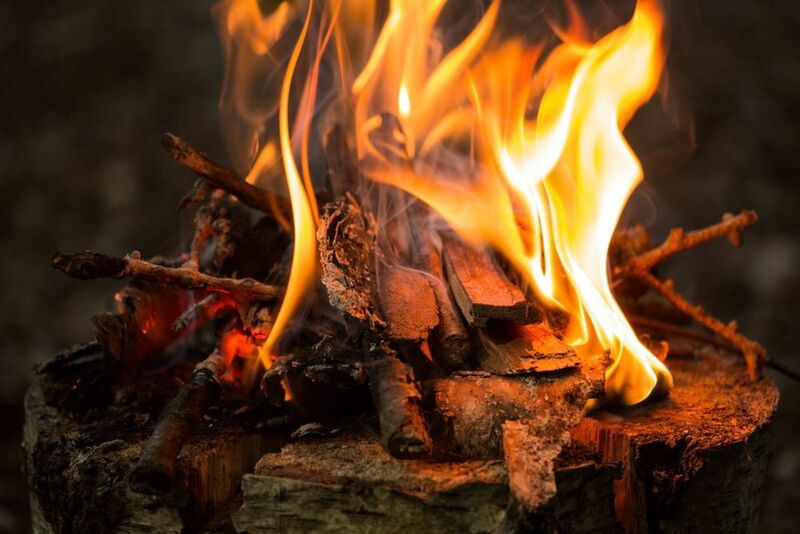 And, while fire has its inherent risks, campfires are a fantastic opportunity to introduce children to the flames and teach them the responsibilities of lighting, cooking on and looking after a fire, as well as the immense amount of joy that comes with it. For extra adventure, bring a magnifying glass or metal strike and teach your children the most primitive of campfire lighting techniques. Many campsites will also have bushcraft courses that will teach the essential fire-lighting skills, while teaching your own children will quickly remind you how tricky it can sometimes be. The look on your children’s face as they melt their first marshmallows on a campfire in the great outdoors is the perfect reward, though. It’ll keep them coming camping forever. It's not really proper camping without a campfire, right? Well grab the skewers and open the marshmallows because this collection of campfire-friendly campsites in Cornwall features only the very best independently run locations. Time to throw another log on the fire and take a look at this hand-picked collection of campfire-friendly campsites in Devon, all specially selected as the very best places to pitch your tent where campfires are not on allowed but positively encouraged! Things are heating up with this collection of the best campfire-friendly campsites in Norfolk, showcasing only the very best independently run campsites in the county where campfires are not only permitted but positively encouraged. Grab a skewer, open the marshmallows and lets get cooking! When you return to your tent after a day exploring the countryside of North Wales, is there anything more welcoming than the heat of a campfire to see you through the evening and chase away any damp? The moment the heap of wood in front of you crackles and creaks into life, the best part of any camping holiday can begin. Nothing beats sitting around a campfire as the flames flicker, the fire crackles and marshmallows melt above the heat. It's just not a proper camping holiday without it! Discover the best campsites in Pembrokeshire that allow campfires here, with this hand-picked collection of the best campfire-friendly campsites in the county. Looking for a campsite in Scotland where campfires are permitted? It's just not proper camping without them. This hand-picked collection of independently run campsites features only the very best locations where campfires are not only permitted but positively encouraged! Nothing beats an evening around the campfire. This collection of campfire-friendly campsites is perfect for real camping of old where marshmallow melting and campfire cooking is an essential part of the experience. Nothing beats kicking back around a campfire when your camping and this collection of Cotswolds campsites is perfect for proper campers who want to crack out the skewers, open up the marshmallows and enjoy an evening beneath the stars the good ol' fashioned way. Burn the campfire at both ends with a trip to one of these campfire-friendly campsites in the New Forest this year. 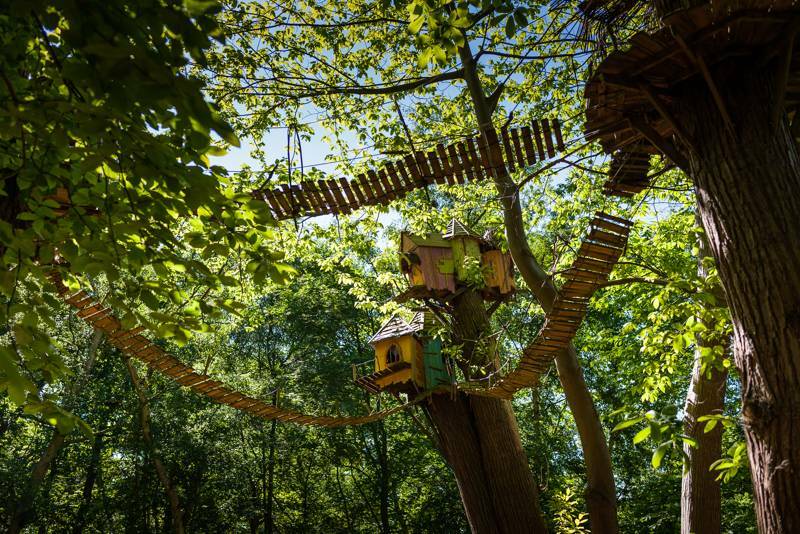 From tiny woodland hideaways to seaside retreats, every campsite has been specifically chosen for not only allowing campfires but positively encouraging them! Camping is only really camping if you're allowed to have a campfire, right? From the Altlantic coast to the mountains of the Alps, we've brought together all of the best campsites in France that allow campfires with this handy collection of French campfire-friendly sites. What is camping if you can't have a campfire? If you're on the hunt for great, traditional campsites in Wales that allow you to have campfires, take a browse of this hand-picked collection of places to stay, all chosen by the travel experts at Cool Camping... and don't forget the matches! If you’re after a luxury camping trip where you’re also welcome to light a campfire, look no further than Cool Camping’s handpicked list. What could be better than sitting round a campfire toasting marshmallows and stargazing? Read on and find a campsite to suit you. Campfires are fun, heart warming (and body warming) and campfires create a social centre-point for groups and families. Gathering around, toasting marshmallows, sharing stories and watching the flames, there’s something wonderfully romantic and traditional about camping with campfires. After all, spending time together in front of a campfire is a timeless and wholesome activity that a night at home just can’t beat. Gazing at a fire will fill you with a sense of wellbeing that staring at EastEnders never will. Trust me. If your planning on visiting a campsite that allows campfires, then don't forget the essentials. Here's our guide of things to check before you leave home. Is there anything more magical than the glow of a campfire to see you through the evening? Campfire lighting at a campsite doesn’t have to be difficult. Start by ensuing the space you are using is well sheltered from strong winds. If you are using a fire-pit, the shape of the pit should also provide extra shelter. The trick is to start your fire very small and allow it to grow once the flames are doing well. Nurture it from a small size rather than trying to get a huge blaze straight away. Smaller fires also require less fuel, so it’s best to keep your campsite at a small scale anyway. Start by scrunching a couple of sheets of dry newspaper into two balls (not too tight, they should bounce back a little once crumpled). Then lean your smallest twigs or thinnest kindling around the newspaper in a tipi-like shape. Next add just two or three larger twigs or your very smallest logs over the tipi, ensuring you retain the campfires shape. Now your campfire is ready to be lit, but not before you ensure you have your next fuel prepared and ready. There’s nothing worse than lighting your campfire only to find that, while you’re looking after it you run out of fuel. Start with plenty on hand so that you can stick around while you get your campfire lit. Light the newspaper in a few different places with a match (light it from an up-wind direction if there is a breeze, so that the flames travel across the fire). Then, only once the smaller twigs have caught fire, you should add more small pieces of fuel to the fire. Once this is doing well, add your first logs and let the campfire reach its regular size. While campsites that allow campfires are now more prevalent than ever, almost all campsites with campfires will require you to use the fire pits they provide. Some will also ask that you raise your fire off the grass to protect it and avoid any scorching – in these instances you can bring your own fire-pit with you if you have one – while others will have metal pits that you can hire for a small fee. There’s a fantastic number of different fire-pit designs out there – recycled washing machine drums, large metal basins and brick-built fire rings – and most sites will have enough pits for almost every pitch (though it’s worth booking your fire pit in advance to make sure). Campsites that allow campfires will also have logs available to buy and generally matches and fire-lighting kits too. At some sites you will be permitted to bring your own logs if you want to but it is always worth checking first. There are a variety of tree diseases in the UK that can be spread by carrying wood and logs from a contaminated area to an uncontaminated one. So, if a campsite has made clear that you cannot bring your own logs, please respect this. It is for the protection of the woodland and forests in the area and an important part of preserving the UK’s ecology and natural diversity. All campsites, whether they allow campfires or not, will have fire and safety signs that will let you know what you should do and where you should go in case of a fire. On a more local level, however, there are things you can do around your tent pitch, to ensure you are being as safe as possible when using a campfire. Always ensure your fire pit is well away from your own and anybody else’s tents and vehicles and remember that once you have lit your campfire you will not be able to pick up the pit and move it. So pick the right spot first and bear in mind new neighbours may arrive later in the day. If your woodland camping, make sure you clear any dry bracken leaves and twigs from the surrounding area, too, so that sparks won't light anything nearby. For the best safety, have a bucket of water on hand too. Finally, and most importantly, never take a campfire, barbecue or disposable barbecue tray inside of your tent, even in the outer entrance area. Even after campfires and barbecues have been doused, they continue to release carbon monoxide for several hours. It’s not worth the risk. If it rains, you should not bring a campfire or barbecue indoors. That doesn’t mean you can’t protect your fuel though! Do be sure to put your un-used logs and kindling under cover at night, to save them getting wet from a heavy dew or rainfall. campsites with campfires fire marshmallows firewood tent camping glamping glampsite glampsites outdoors at Campsites with Campfires, What could be better than a campfire when you return to your tent after a day outdoors. We've got loads of stunning campsites where campfires are permitted: pitch your tent at a family and dog-friendly site in Kent, or park up at a campsite where your caravan is welcomed in the Pyrénées. UK or France, we’ve got you and your campfire needs covered.